As a new entrepreneur, it’s easy to get into a habit of grabbing fast food while you’re running business errands, or ordering in if you work from home. 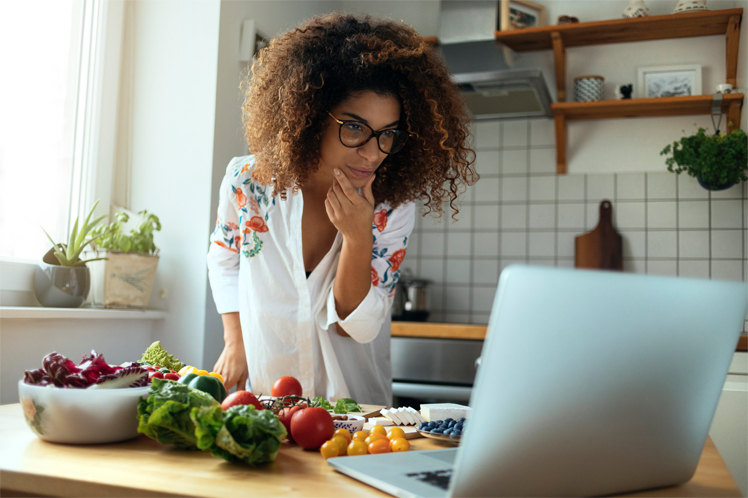 Because your routine may have changed — sometimes drastically — from your 9-to-5 job, it’s important to pay attention to what you’re eating and when you’re eating. Try including green vegetables in every meal and eating fresh fruit or nuts as snacks in between meals. Try to stay away from soda, alcohol and processed foods as much as possible. You’ll notice your productivity and energy shift based on what you’ve eaten in a given week. As a business owner, you spend a lot of time giving yourself to others. You have to make sure your clients, employees and customers are happy, and that can be taxing work day after day. A helpful way to deal with the anxiety that’s sure to come from that is to make time for yourself. Carve out time every day to do something that makes you happy and takes your mind off work. For some, that’s exercising in the middle of the work day. For others, that’s meditation or writing or painting after work. Find something therapeutic that works for your individual needs.